In 1904 Captain Jack Cranford built the Jasper Water System. He was president of Jasper Water, Light and Power Company owned by Cranford Mercantile Company. Cranford also started the first bank, located inside his mercantile store. That bank went on to become the First National Bank of Jasper, which is now very appropriately named the First Bank of Jasper. The water plant was sold to Eugene Files and Judge John B. Weakley of Birmingham in 1917. The power department was sold to Alabama Power Company. 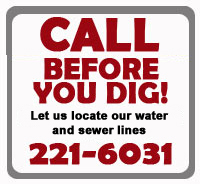 The water department has been known as the Jasper Water Company, then Alabama Water Company, and then Alabama Water Service Company. No. One station (1904 original) was located at 3rd Avenue and Wright Street consisting of a well, pumping equipment and a 60,000-gallon storage tank. No. Two station was at Lovely Street & 11th Avenue, and was built by Alabama Water Service Company. It consisted of wells, treatment basins, filters and pumps. The reservoir capacity was 300,000 gallons. 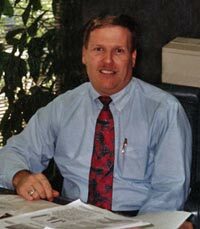 Cliff Crowe was Superintendent and was supported by four other employees. They had 1,000 customers and one million gallons per day capacity from 4 wells. The Alabama Water Service Company acquired or built the filtration plant in Cordova in 1930. The original Board was a 3-member board consisting of A. L. Sherer, Paul S. Haley and Lawrence Davis. In 1943 the Water Works Board of the City of Jasper purchased the filter plant in Cordova from Alabama Water Service Company. Then in 1946 the Board hired W.U. Quinby from Leeds, Alabama as Superintendent. In 1949 the Board started construction of gas system and had 1400 customers. The name was then changed to The Water Works and Gas Board of the City of Jasper in 1952. The City of Jasper sewer system was transferred in 1971 to the Water Works and Gas Board of the City of Jasper, resulting in another name change. We then became The Jasper Utilities Board. The next year the Board increased to 5 members. Ray McAdams became the new manager in 1975. Under his leadership a new water filter plant was built on the Mulberry Fork of the Warrior River in 1978. In 1988 the gas system was sold to Alabama Gas Corporation. A year later the legal name was changed to the Jasper Waterworks and Sewer Board, Inc.
Terry Stripling started work with the Board on April 1, 1974 as a Start-up Operator for the new water treatment plant being constructed on Sipsey Road. He served as a Grade 4 Water Treatment Plant Operator until September 1976 at which time he was promoted to Superintendent of Water Treatment and Sewer Operations. 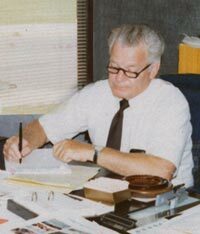 Upon the sale of the Board’s gas system in October of 1988, Terry was promoted to General Superintendent. 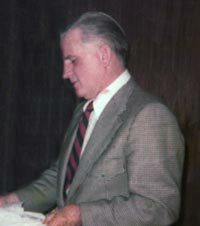 With the Retirement of Ray McAdams, he was appointed General Manager in 1991. Under his leadership, the Board acquired the Sipsey Water System that is operated today as a separate Division. Stripling retired after six years and was followed by Don Welch. 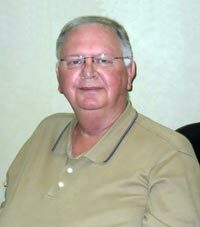 Don was instrumental in the development of the Board’s current service center, located on 8th Avenue downtown. Following Don’s Retirement in 2011 our current Manager, Jason Langley was appointed. 90%+ of Walker County population receives water from the Jasper Waterworks & Sewer Board, Inc.